Let me begin by saying that I appreciate you for taking the time to read this small passage outlining the biggest message that I took away from being in Entebbe, Uganda visiting the Amaanyi Center. To appreciate someone or something is to express admiration or gratitude towards them. Using this simple definition, I can say that the staff and students at this center are the most appreciative group of people that I have ever met. Right when we arrived there was note for us expressing their gratitude and asking us to meet them the next day. When we arrived at the center, we were immediately greeted with big smiles and hugs. Please note that we had never met any of them before this day. They welcomed us into the Amaanyi family with no hesitation but with lots of laughter, singing, and dancing. I knew I was officially in the family because during the introductions of our team to the staff and students we were referred to as Aunties and Uncle. To me this was a major sign of acceptance and respect because not everyone can be deemed qualified to join a person’s family. Our goal was to not just connect with the staff and students but to train and work with the staff in various areas that were identified as needing improvement. It was understood that I was going to a totally different culture and adapting would be a major key in accomplishing the goal. 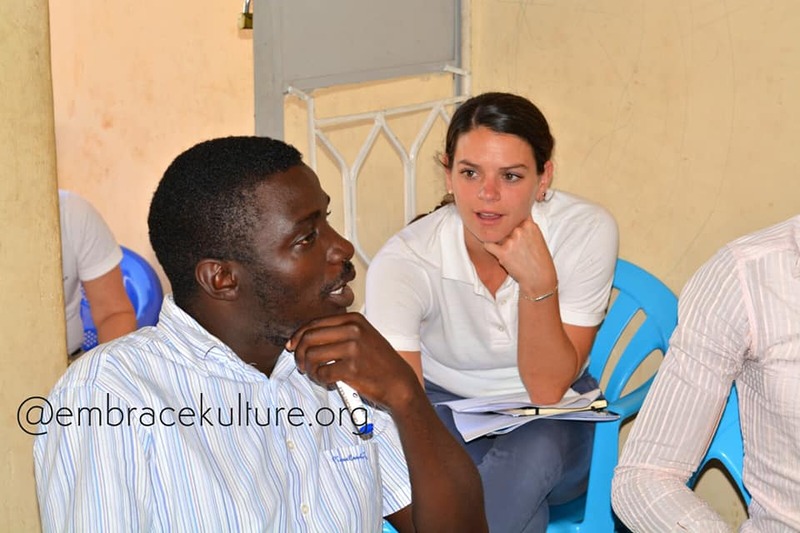 Being told about a culture and living in the culture are two totally different things. Each day we had a morning team meeting and an afternoon team meeting that both ended in showing how grateful they were for bringing meaning and perspective to topics such as behavior management, positive reinforcement, and vocational trainings. And this isn’t to say that there were never any bumps in the road but because we all knew the work that needed to be done in 14 days, we were flexible and able to adapt. Sharing food and conversation with each person taught me even more about appreciation in spite of differences and lack of resources. On a typical day the kids enjoy a typical Ugandan meal of rice/posho and beans, water, hot tea, and popcorn. To the average American, this may seem like nothing but to the staff and children this food means everything. They were excited each morning and at lunch time to have the same meal that was previously served. The kids were grateful to the Aunties who cooked the meal which would be shown by their big grins and requests for more. I asked a student, “If you could have your favorite food right now, what would it be?” She responded, “rice and beans,” with enthusiasm. On our last day we were given a going away celebration where they showed their appreciation by forming groups for each of the SkillCorps team members. The main question of that day was, “When will you return?” One by one the groups would come and speak and maybe even dance to show how our presence was appreciated and that because we are family, we will be greatly missed. Through all of the good, iffy, and amazing moments shared at the center our presence and interactions will forever be with me and I am appreciative of this experience and opportunity to train and work with the staff at the Amaanyi Center.